Janet Hutchinson has worked in book publishing on a freelance basis for 25 years. She is the commissioning editor of Grandma Magic: true stories by and about grandmothers (Allen & Unwin, 2009, 2nd edition 2010). She has also compiled and edited two recent anthologies of Central Australian writing — The Milk in the Sky and Fishtails in the Dust, both published by Ptilotus Press, Alice Springs. For many years Janet taught creative writing in both tertiary education and community settings, but mostly at the University of Technology, Sydney. She conducts workshops in editing and manuscript development and in the writing of literary non-fiction. Her own creative work has been published in journals, magazines and anthologies over the years, and is collected in Desire and Other Domestic Problems. She has been commissioned to write several commercial non-fiction books on a range of subjects. She currently works as a writer, copywriter (including for Deuce Design), editor, manuscript and publishing consultant, mentor to emerging authors, researcher and journalist. 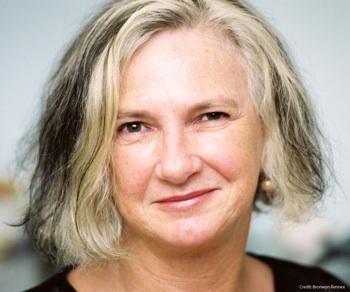 In recent years she has worked closely with a number of Australian Indigenous authors, including several winners of the David Unaipon Award, among them Tara June Winch (Swallow the Air, UQP, 2006). She has also worked with the authors of several award-winning books, including Rod Moss, Larissa Behrendt, Anita Heiss, Dylan Coleman, Jeanine Leane, Kate Howarth and Lorraine McGee-Sippel.